This article focuses on the Territories of France. It is part of a 4-part series explaining current day situation of the remnants of the colonial empires of the early 20th Century, almost all of which are small islands scattered around the world. Other parts of the series will examine the status of Dutch, British and United States territories. At its peak in 1929, France held one of the world’s largest empires during the early 20th century controlling 12,898,000 km2 (4,980,000 sq mi), or 8.7% of the Earth’s land area. A full 72 countries have territory which was at one time or another, a part of France. Since 1929, the size of the French empire has shrunk dramatically. Like other European colonial powers, their empire never disappeared entirely. Today you can find the vestiges of the French Empire in islands around the world. There is a distinct difference between the non-European parts of France and the territories of other countries such as the United States and the United Kingdom. Technically speaking, all of the overseas parts of France are considered to be an integral part of France. All people who live in overseas France can vote in French elections and have representation in the French parliament. This is very different than the territories of the US or UK which are not considered to be an integral part of the country. To this extent, France really doesn’t have territories in the same way that other countries do. France is just a single country which happens to be scattered all over the world. The non-European parts of France are collectively called the départements et territoires d’outre-mer or, the departments and territories overseas. 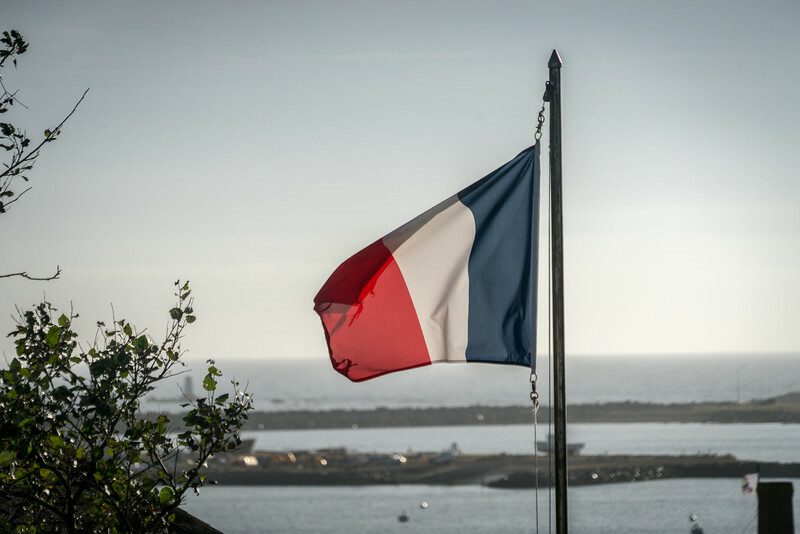 For the purpose of this article, the term ‘territory’ will be used interchangeably with the term ‘department’, but it should be noted that territory has a different use in the French system than it does in other countries. There is one area which is called a territory in the French system, but it is uninhabited and will be explained below. France is divided into 18 regions, which can be thought of as being similar to states or provinces in other countries. 13 of the regions are located in Europe (12 in mainland France and 1 in Corsica). These are referred to as Metropolitan France. The other 5 regions are overseas regions and have equal status with other regions of France such as Normandy or Brittany. To use an analogy, these regions have the same status in France that Hawaii does in the United States. Hawaii is a full and equal state within the US, and the overseas regions of France have similar status. Regions in Metropolitan France are further divided into departments. In the case of the overseas regions, however, each region is co-existent with a single department. The analogy here might be to US states and counties. Every US state is subdivided into counties (or parishes in the case of Lousiana). The overseas regions would states with only one county. Most, but not all, of the remaining populated parts of overseas France are called overseas collectivities. There are currently 5 overseas collectivities in France. They have representation in the French Parliament and can vote for president, but their status is not quite that of a region. A good analogy for them might be the territories of Canada or Australia. They are part of the country, have full voting rights, but are not quite on the same level as a province or state, mainly due to low population. The only overseas collective which has a larger population than an overseas region is French Polynesia, which is slightly larger than Mayotte. There is one place which can be considered a territory in the traditional sense of the word, and that is the French Southern and Antarctic Lands (Terres Australes et Antarctiques Françaises). This territory is entirely uninhabited and consists mostly of small islands in the Indian Ocean. They have no representation in the French legislature. France also has a relatively small territorial claim on Antarctica itself, but along with claims by other countries, it has been suspended by the Antarctica Treaty. Many of the islands which France claims possession of are disputed and also claimed by other countries. 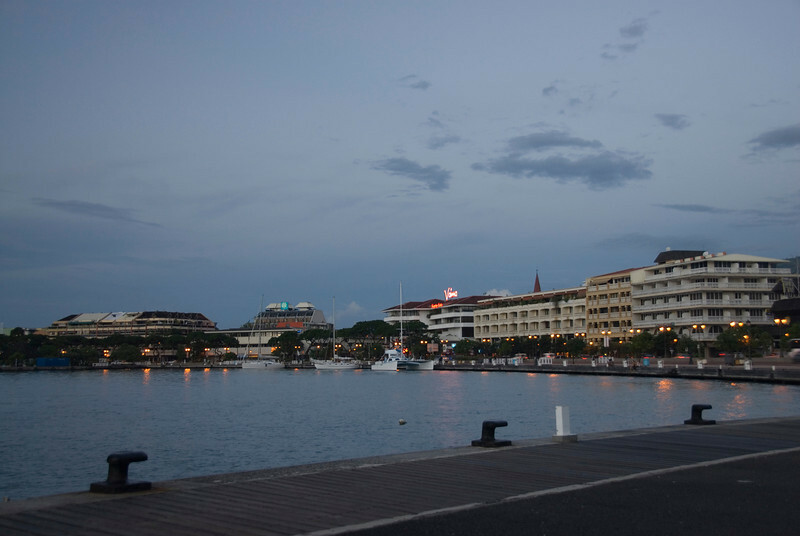 New Caledonia is a territory which was granted statut particulier in 1998. It is considered neither a region nor a collective. During the 1980’s there was a great deal of violence and political turmoil on the island. The culminated in the 1998 Nouméa Accord which created a special status for the territory and mandated that a referendum would take place in 20 years. This referendum will take place in 2018. 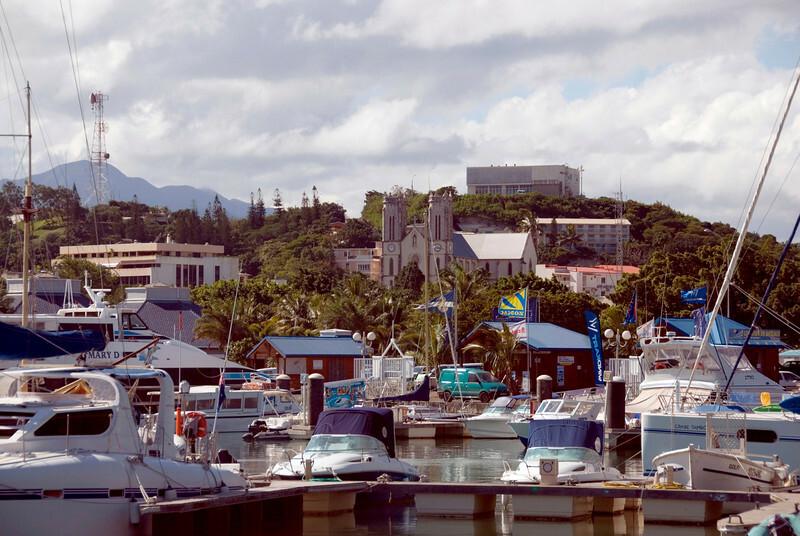 The people of New Caledonia have a special New Caledonian citizenship which is held parallel to French citizenship. The other speck of land with a special status is Clipperton Island. Clipperton is an uninhabited coral atoll located approximately 1,000 km southwest of Mexico. The island has no particular status in the French territorial organization. It is simply land owned by the government and under the control of the Minister of Overseas France. It has never had a permanent human population, but it has been used in the past for military and scientific purposes. For all practical purposes, there are 11 distinct parts of overseas France which are populated and can be visited. I have personally visited seven of the eleven places and hope to visit the remaining four over the next several years. All of these populated territories are in or border the Caribbean Sea, Pacific Ocean, or the Indian Ocean. Saint-Martin is an overseas collective which constitutes the northern half of the island of Saint Martin which is shares with the Dutch territory of Sint Maarten. Formerly part of the region of Guadeloupe, it became a separate overseas collective in 2003. The French side makes up about 60% of the area and 55% of the population of the island. The international airport and the cruise ship terminal, however, are both located on the Dutch side of the island. The ferry to St Barth’s is also located on the Dutch side of the island. There is a small airport on the French side, but it is used for regional flights to other islands. While the island is divided between two countries, the two sides are quite integrated. Both sides use the Euro and there is no border control. While French is the official language, English is spoken more widely here than in any other French territory due to the split nature of the island and its heavy reliance on tourism. The French side is located only 7km from the British island of Anguilla. Guadeloupe is one of the 5 overseas regions of France and one of two of the regions in the Caribbean. It is the most populated European territory in the Americas with a population of just over 400,000. As with all overseas regions, it is considered part of the European Union and they use the Euro as their currency. It is not, however, considered part of the Schengen Zone. Guadeloupe is allocated 4 deputies in the National Assembly. It is located in the Lesser Antilles between The British Territory of Montserrat and the nation of Dominica. The region consists of three populated islands. Basse-Terre and Grande-Terre, are the largest and main islands and are separated by a narrow straight and connected by two bridges. The smaller islands of La Désirade, Les Saintes, and Marie-Galante are also part of the region. The international airport is located on the island of Grande-Terre, close to the center of the two major islands. The capital of the region is Basse Terre which is located on the island of the same name. French is the official language but Guadeloupean Creole is widely spoken by most of the non-European population. The islands of Saint-Martin and Saint-Barthélemy were formerly part of the region of Guadeloupe but were separated and became overseas collectivities in 2003. Martinique is located only 70 miles (115 km) south of Guadeloupe. It is located between the islands of Dominica and Saint Lucia. With 385,551 people it has a slightly smaller population than Guadeloupe and a slightly smaller area. It also has 4 deputies in the National Assembly. The capital of the region is Fort-de-France which is located on the leeward (western) side of the island. The international airport is also located near Fort-de-France. Martinique is connected to Guadeloupe by air and ferry service. The ferry takes about 4.5 hours to get from Martinique to Guadeloupe, with a 30 minute stop in Dominica along the way. There is also a less frequent service to Saint Lucia as well. Check the ferry website for times and prices. Saint Barth’s is the smallest of the French Caribbean islands with a population of under 10,000 people. It is mostly known as a high-end vacation retreat for the rich and famous. 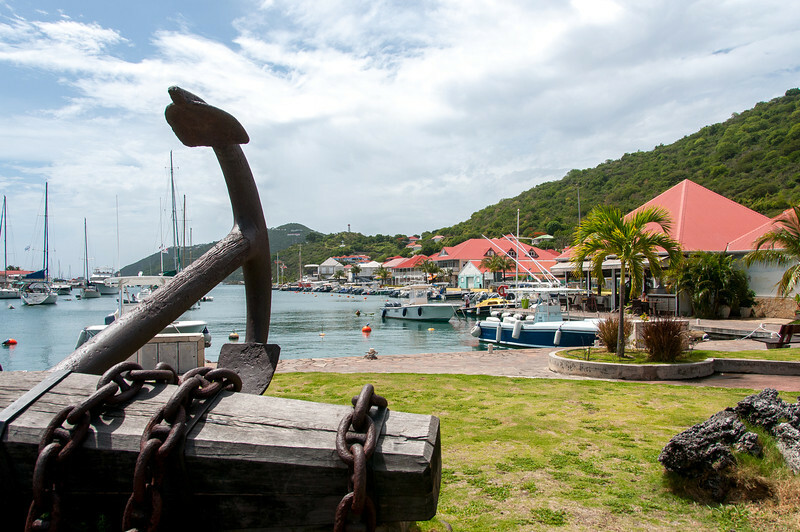 Formerly a Sweedish colony, it was given back to France in 1878, hence the name of the capital city is a very non-French “Gustavia”. To get to St Barth’s you first need to go to Saint Martin. From there you can take a ferry or a short flight. 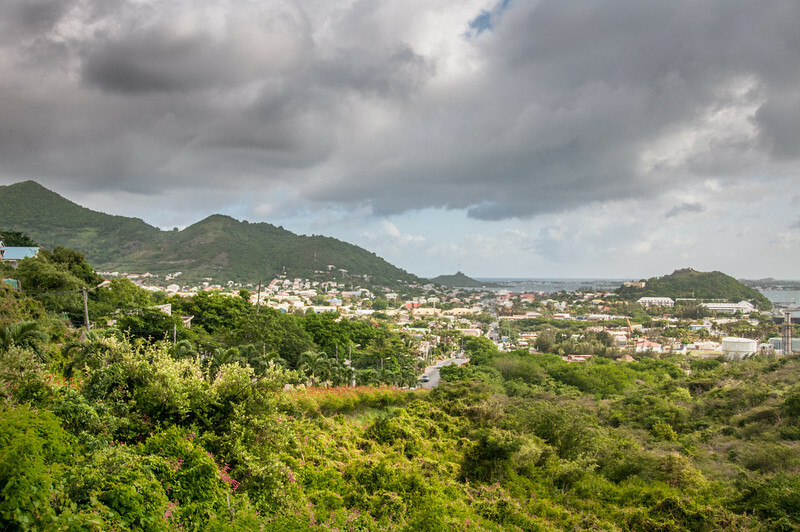 Flights originate from both the Dutch and French side of St. Martin and are about 15 minutes long. Ferry services originate on both the French and Dutch side of the island as well. The Saint Barth’s airport is known for being one of the most dangerous/exciting approaches of any airport in the world. French Guyana is the only part of overseas France which is not an island. The region borders Brazil and Suriname, which makes for a great trick trivia question when asked: “what countries border France?” As French Guyana is actually considered a part of France, Brazil and Suriname really do border France. Despite being the only part of overseas France which on a continent, it is not that populated. It has a population of a quarter million people and a density of only 2 people per square kilometer, making it one of the least densely populated places on Earth. Only Mongolia and Greenland have lower population densities. Its low population is primarily due to the fact that most of the land is a thick, impenetrable rainforest. It is best known as the launch location for the European Space Agency because it is the closest part of the EU to the Equator. Saint Pierre and Miquelon are two small islands off the coast of the island of Newfoundland. They are the last vestige of European colonial rule in North America. Traditionally, the economy was based on fishing, but today it is mostly based on tourism. It is a popular stop for cruise ships traveling along the coast of Canada as it counts as an international port, which confers benefits to ships with such an itinerary. With a population of only 6,000 people, it is the smallest of the overseas collective. Its remote location and high prices drive many of the locals to move to metropolitan France or to Canada. Getting to St Pierre isn’t difficult. There are flights from St. John’s, Halifax, and Montreal. There are many cruise ships which stop and there is a passenger ferry. A car ferry in planned to begin in 2018. One of the lesser known overseas collectives, Wallis and Futuna are two islands in the Pacific which are located between Fiji and Samoa. Although they are Polynesian, they are not part of French Polynesia, which lies much further to the east. Geographically, the collective consists of Wallis island (which has an atoll around the center island) and the Hoorn Islands which consist of Futuna and Alofi. The island groups are separated by 145 miles (230km). 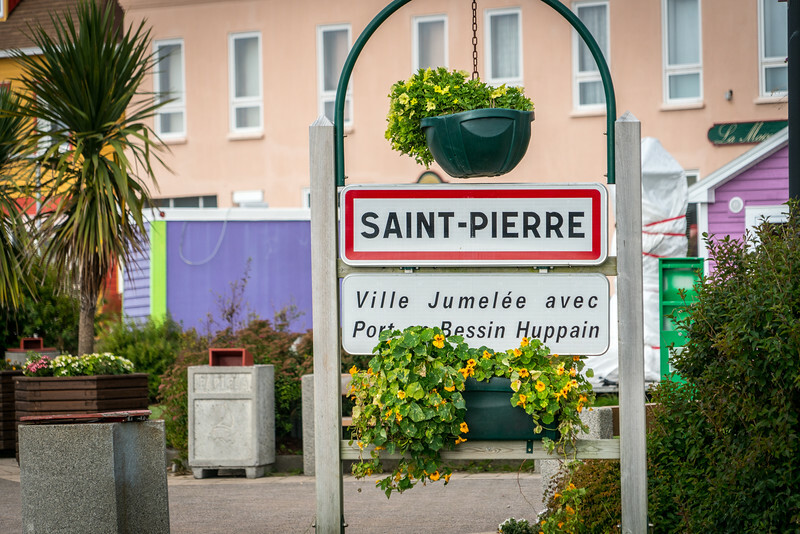 With a population of only 15,000 people, it is the third smallest department behind only St. Pierre and Miquelon and St Barths. Flights to Wallis and Futuna are out of Noumea, New Caledonia, and Nadi, Fiji. Aircalin is the only airline which flies to Wallis, so flights tend to be expensive. They also fly between Wallis and Futuna several times a week. French Polynesia geographically is the largest overseas collective of France taking up an enormous swath of the Pacific Ocean, if you include territorial waters. It consists of 118 atolls and islands, 67 of which are inhabited. It has a total population of 280,000 people, of which 180,000 live on the island of Tahiti, the capital of the region. The economy is dominated by tourism which is mainly on the larger islands of Tahiti, Bora Bora, Moorea, and others. Most of the islands with small populations get little to no visitors. Next to New Caledonia, French Polynesia has the most active independence movement of any French overseas department. There have been pro-independence parties which have recently held power in the local legislature. French Polynesia is one of the easiest territories to visit with international flights from many countries around the Pacific. Flights from Europe usually stop in the US or Canada en route. The territory with the most delicate political situation currently is New Caledonia. Located in the Melanesian region of the Pacific, the territory is not considered an overseas region or an overseas collective. It has a sui generis (unique) status in the French overseas ecosystem. Much of this stems from pro-independence violence which occurred in the 1980s. This resulted in the 1998 Noumea Accord which granted autonomy to the island and allowed for an independence vote which will happen in 2018. The native Kanak people now only represent 40% of a total population of 268,000. The other major groups are those from Europe, Wallis and Futuna, French Polynesia, and Southeast Asia. In addition to tourism, the major economic activity on the island is nickel mining. Mayotte is one of two overseas regions in the Indian Ocean. It is located in between northern Madagascar and northern Mozambique. The region consists of two major islands: Grande-Terre and Petite-Terre, with several other smaller islands around them. Most of the population is Comorian which are a mix of people from Arabia, Persia, and Madagascar. 97% of the region is Muslim with approximately 2/3 of the population being born in the region. Unlike some other regions, Mayotte has voted strongly in support of political union with France. in 2009 they voted with over 95% approval to become the 101st department of France. The nearby country of Comoros claims the islands but has taken no serious actions since the 1970s. Direct flights to Mayotte are available from several cities including Paris, Johannesburg, and Nairobi. Réunion is the other overseas region of France, and the largest overseas region in terms of population with over 850,000 inhabitants. A single island, it is located 680km (420miles) off the east coast of Madagascar and is approximately 100 miles from the nation of Mauritius. The population is primarily creole (mixed) with ancestries coming from Madagascar, Europe, India, and China. Unlike Mayotte, the population is mostly Catholic, with small numbers of Hindus and Muslims. Flights to Reunion arrive from Paris, as well as from nearby countries such as Madagascar, Mauritius, South Africa, Mayotte, and the Seychelles. What a great idea to focus on the remains of the colonial empires, and how strange it is to note that most of the remains are still part of (in this case) France for practical reasons. I wonder how many of these places are economically a burden to France, or contributing positively to their former colonial power…? I think every overseas territory of every country which still has them (US, UK, France, Netherlands, and Denmark) loses money. Very accurate and detailed post! While you can of course pay with euros on Sint-Maarten (but then, you can also pay with euros in Turkey), it’s not the official currency. That would be the Antillean guilder. And while to a visitor, both parts of Saint Martin look “integrated” because of the absence of a border, they are actually not integrated at all. There is no cooperation between the police forces, for example. If your car gets stolen on one part of the island and taken to the respective other part of the island, it’s an enormous hassle. The first problem will be that the French police won’t accept any report in English or Dutch. Again, as a visitor you won’t notice that, because restaurants are fine with English, of course. Fantastic article – very detailed and has provided much food for thought in terms of the travel wish list! Well, what do you know. Another country with some amazingly beautiful overseas sovereign much of which I haven’t been to. Réunion, I can say is lovely from what I remember as I went there on a school trip a long time ago. Thank you for the good post. Please let me share this post to my blog. Thank you! What a wonderful overview of these places. I am impressed with your research and presentation! Sadly, so far, I have only been to Saint Pierre and Miquelon. I have asked before, but will again….are you writing a book? You should!